EXPERIENCE the magic of RICHARD STREET'S TEMPTATIONS when the legendary soul group performs at WEST LEAGUES CLUB next Wednesday, February 23. It is one of only three Australian shows. The Temptations were MOTOWN'S top-selling male vocal group, racking up a stack of mid- 60s hits. Street's passion for The Temptations goes back to its origins in 1955, when he was a member of the Detroit doo-wop group THE DISTANTS, which included long- time Temptation OTIS WILLIAMS, as well as Street's cousin, the late MELVIN FRANKLIN, who was The Temptations' legendary bass singer until 1995. Street left The Distants in 1959 to form THE MONITORS and the other members eventually went on to record for the newly formed Motown record label as The Temptations. But Street always kept a hand in the band. Motown president BERRY GORDY hired him in 1963 as a quality control producer at the label, asking him to listen to new recordings and occasionally lend his tenor voice to sweeten a vocal track. By 1969 The Temptations' silky harmonies had made them the top R&B vocal group in the world with a string of pop chart-toppers such as My Girl, I'm Losing You, Ain't Too Proud To Beg and Get Ready. But by then the wheels in the group were beginning to work loose. 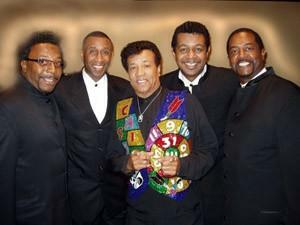 Street performed hundreds of shows with The Temptations in more than 20 years, as a member of the group, visited dozens of countries and along with other members past and present was there when the group was inducted into the ROCK'N'ROLL HALL OF FAME in 1989. Today Street presents his own show, which includes the legendary music of The Temptations and other classic hit songs that document the golden years of the Motown sound. Expect to hear classic Motown hits such as Papa Was A Rollin' Stone, The Way You Do The Things You Do, Don't Look Back and many more. Bookings can be made on 4935 1300.